Hey everyone. . Today I am so excited to said that, I am finally back in track of making nailarts. . I don't know for how long it will continue but I am so happy that finally I take out few time from my as usual hectic schedule and able to draw a beautiful NailArt. 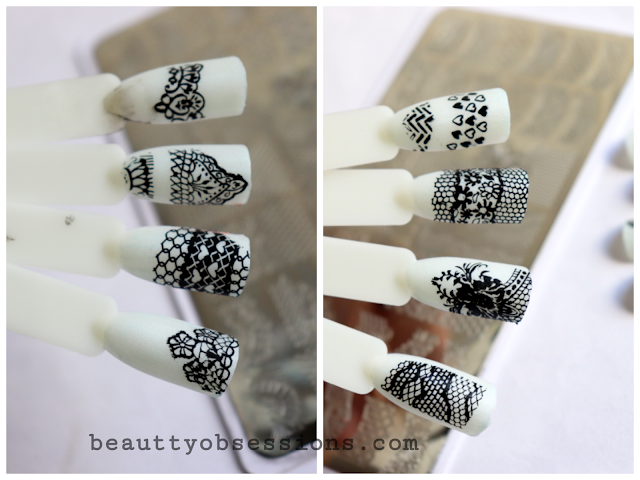 Today I drew this NailArt using beautybigbang flower theme stamping plate (watch my beautybigbang haul video HERE). Recently I got some stamping polishes from an online store and was very excited to try those out.. 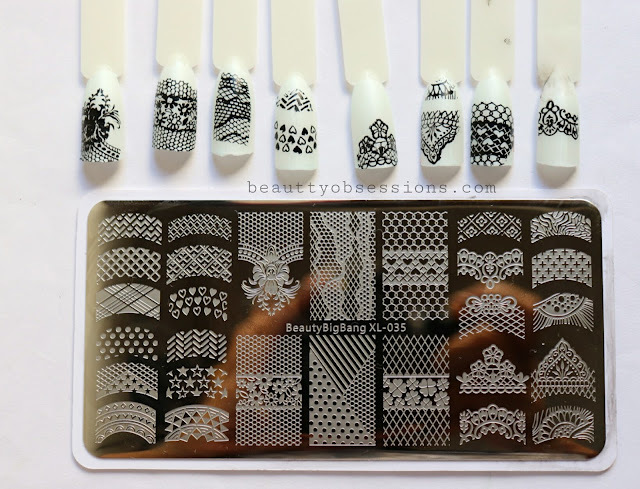 Hence I used this beautybigbang stamping plate. I personally love the stamping plates collection at beautybigbang.. They have huge variety in different patterns . 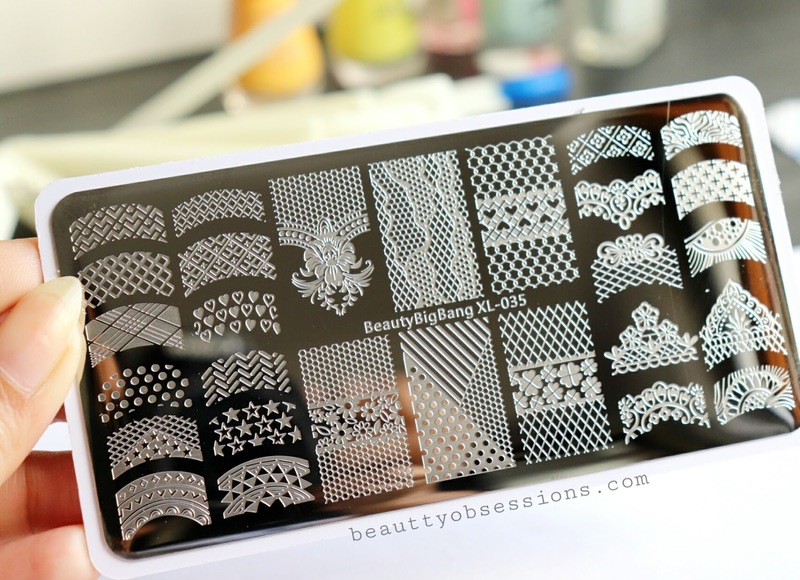 This rectangular stamping plate has around 16-18 designs and again you can mix match the patterns to create your own new designs. The quality is beyond amazing . I love all the detailing and the designs of each picture. 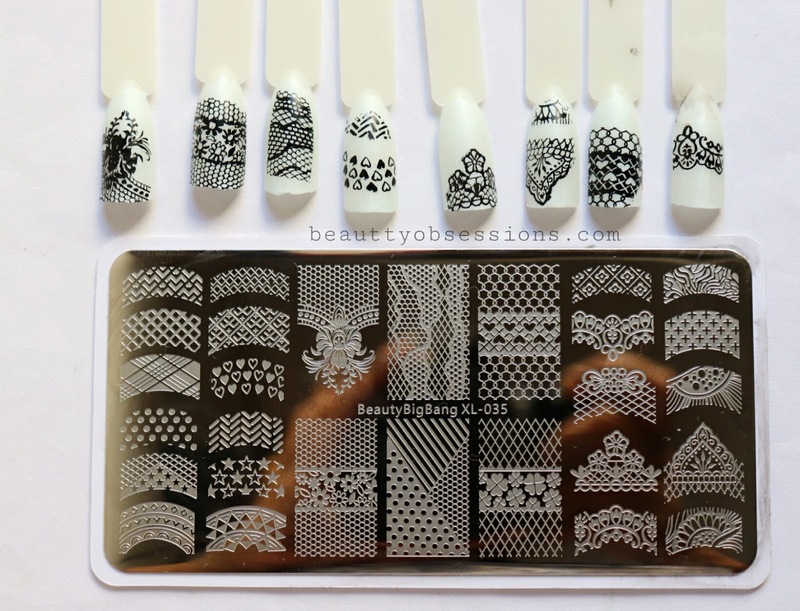 I will definitely recommend you to try out beautybigbang's stamping plates of you are into nailarts. 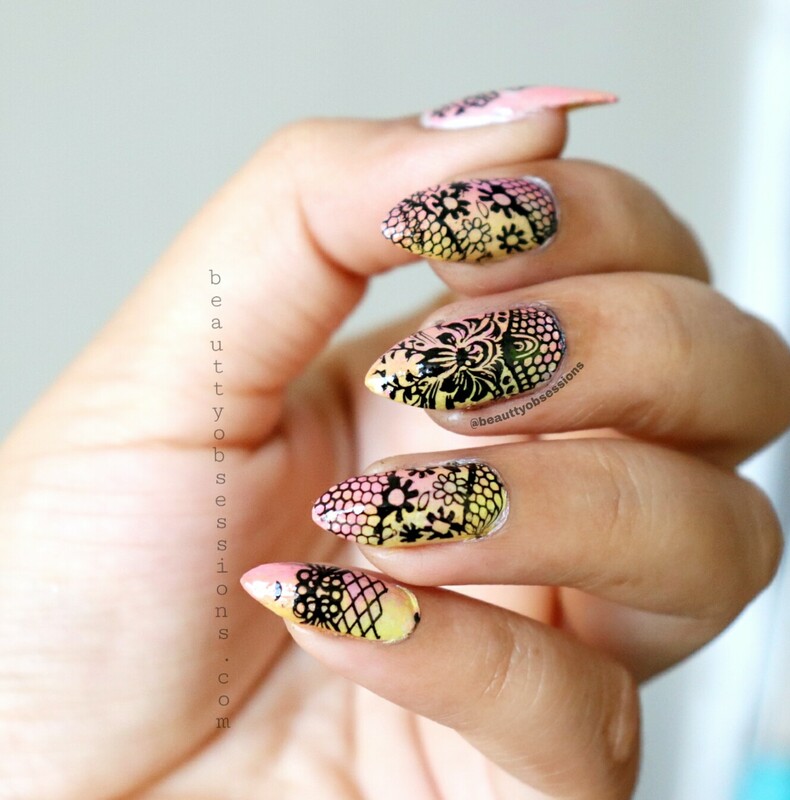 Well, I have also used the stamper amd scraper from beautybigbang too. You should check out the site, they have amazing collection in makeup and nails. In beautybigbang you can pay through PayPal and they do ship free worldwide . *Use my coupon code SNIG10 to avail extra 10% off across the site. 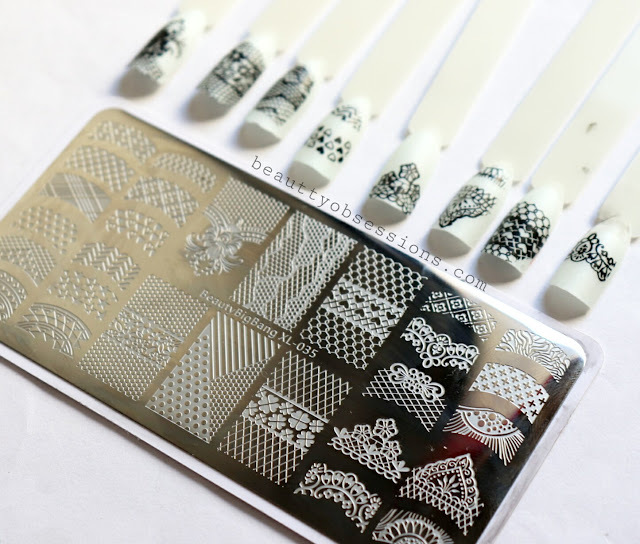 So here I have used the nail displays to show some of the patterns through stamping (see the below pics ) . Hope you enjoyed this post. See you in the next one,till then stay happy ..
Wooow. I have seen your tutorial video too and so impressed. Please tell me nail peel , where u can buy from? Got it from bornprettystore. . Actually bought it through an insta seller. . If you want , do let me know . Today is the day for learning new things. 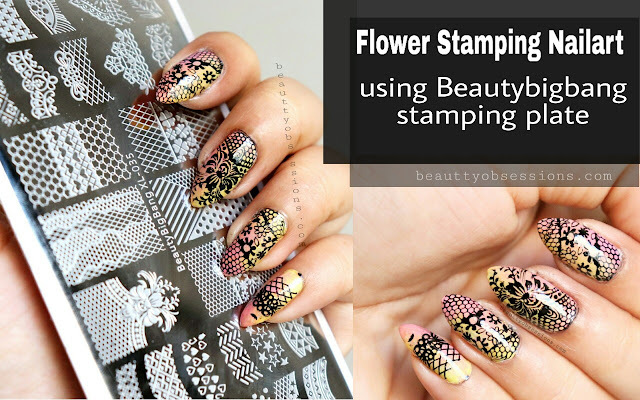 I did not know there was something called nail stamping. You make it look so simple. Wow I like nail designs. Your nails look very pretty. I need to watch your video now. That stamping pad is really pretty! I absolutely love it! Your nail art design is really good too! Keep posting more such designs!